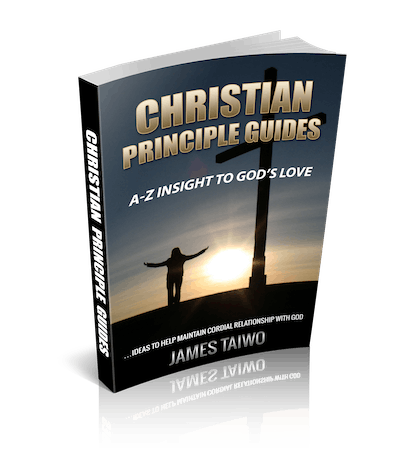 JamesTaiwo.com website (a.k.a Inspirational Quotes & Articles) is a free product furnished to help people find the reason for existence; motivate them to serve God, and live fulfilled lives on earth. JamesTaiwo.com; its subsidiary websites, and mobile applications are not liable for the performances of the device on which they are operated. All contents on JamesTaiwo.com website are copyrighted unless otherwise stated. Any information you provide, such as your e-mail address and telephone number, is used only for the purpose of which it was served. Every piece of information provided is kept confidential, and we will remove it from our files at your request. Contact us for more information. JamesTaiwo.com is geared towards providing reliable information in regards to the topic and issue covered. JamesTaiwo.com, its subsidiary websites, and mobile applications are distributed on the idea that the site owner, developers, and sponsors are not required to render an accounting, officially permitted, or otherwise, qualified services. If advice is necessary, legal or professional, a practiced individual in the profession should be ordered. All rights reserved. JamesTaiwo.com website, its subsidiary websites and its mobile applications in any portion thereof may not be reproduced or used in any manner whatsoever without the express written permission of the publisher except for the use of brief quotations in a book and online reviews. The information provided herein is stated to be truthful and consistent, in that any liability, in terms of inattention or otherwise, by any usage or abuse of any policies, processes, or directions contained within is the solitary and utter responsibility of the recipient user. Under no circumstances will any legal responsibility or blame be held against the publisher/developer/sponsor/distributor for any reparation, damages, or monetary loss due to the information herein, either directly or indirectly. JamesTaiwo.com is a not-for-profit organization and we encourage your donations to World Outreach Evangelical Ministry to help us in the continuing efforts to make positive impacts in people’s lives. Unless otherwise noted, Scripture quotations are taken from the New King James Version, (NJKV). Copyright 1982 by Thomas Nelson. Used by permission. All rights reserved.